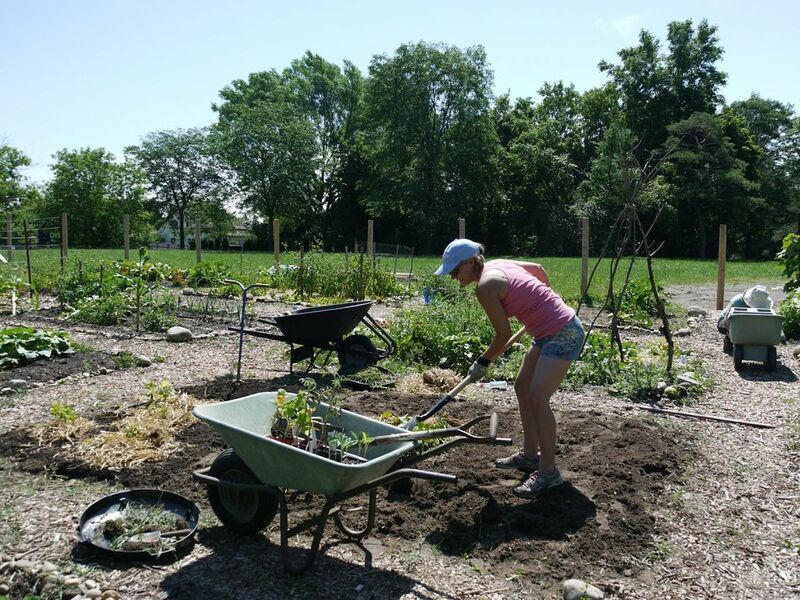 For the past few months a group of neighbours have been working on turning a portion of the Uniroyal Goodrich Park into a community garden. It looks like they have succeeded. Uniroyal Goodrich Park is on Guelph Street, half way between Waterloo and Weber. It is up a hill and out of site so many people are not aware it exists. It had playground equipment in it but was seldom used so the city removed the equipment a couple of years ago. The garden takes up one part of the park but we would like to encourage other uses and have more people around. Write to the Blog if you have ideas. Come and check out the garden. There are often people “working the land” and it looks great now that the fence is up and the plants are growing. 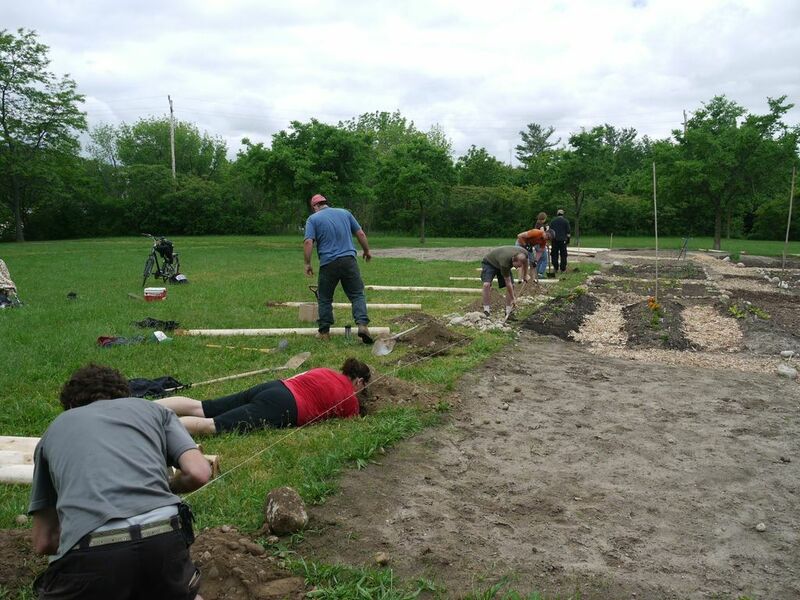 The work begins with creating garden plots and digging postholes for a fence (click on any of the photos for a larger image). Then there is a joyful and expectant time planting and moving soil and compost with a wheelbarrow. Eventually plants grow and become tall. 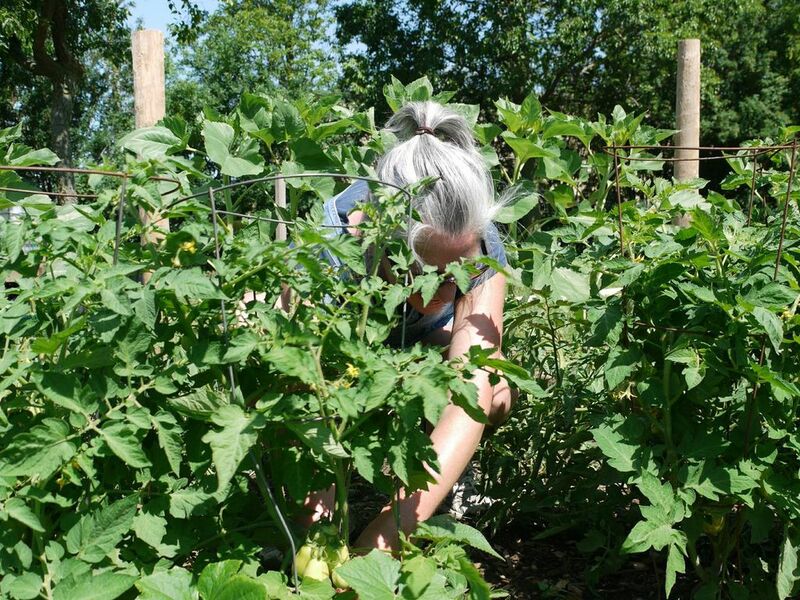 Fruit and vegetables can be harvested one day! Thanks to Juanita for sending these photos. The MHBPNA Blog welcomes everyone from the community to send photos or articles about things they consider important and interesting.